This is the sweetest, cutest bunny. Can't wait to start decorating for Easter. Excellent turnaround time in shipping, and, excellent customer service!! 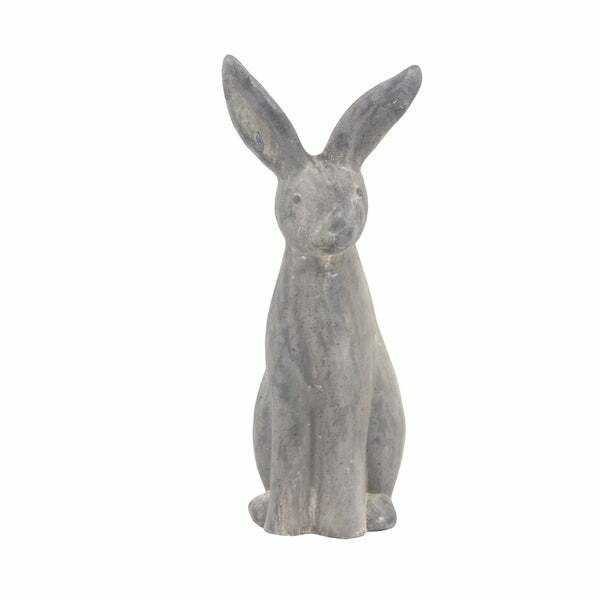 Flaunt this imitative bunny sculpture for an added country vibe to your garden or patio. This sculpture features a stylized imitation of a sitting bunny with raised ears and carved features in a distressed gray finish. It is made from 100% polystone material that is guaranteed to last even when exposed to rough conditions. This charming sculpture makes a great and striking decor in your lawn and on tables, shelves, and other even surfaces. Add this imitative bunny sculpture now in your garden or patio for a lovely and an enhanced alfresco! Dimensions 7.0 In. X 8.0 In. X 20.0 In.